This recipe is from my friend, Cathy. She posted about these Lemon Brownies on Facebook and then put the recipe on Instagram. I snagged the recipe and headed to the kitchen. OMG delicious! I especially loved the edges. 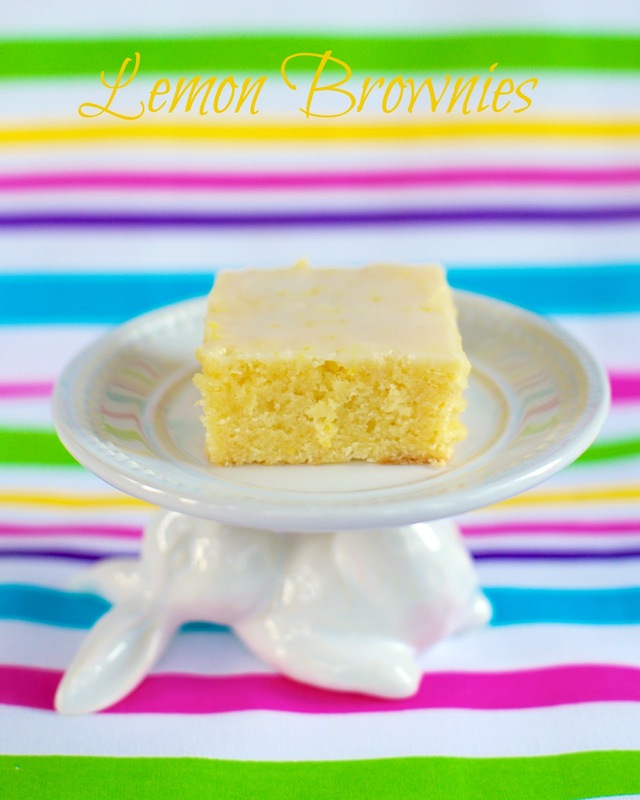 I highly suggest using fresh lemon juice in these brownies. I really think it makes a difference. You can use bottled juice, but, since you need lemon zest, why not just use fresh lemon juice. These brownies are light and not overly sweet. The light lemon glaze on top puts these bars over the top. We could not stop eating them. I am making them again this weekend. I can't stop thinking about them! In the bowl on an electric mixer, cream together butter and sugar until light and fluffy. Add eggs one at a time, beating until fully incorporated. Add the lemon juice and lemon zest. Slowly add the flour and salt, mixing until just combined. Pour batter into a greased and floured 9x13-inch pan. Bake for 30 minutes. Allow to cool. To prepare glaze, combine powdered sugar, lemon juice and lemon zest. Pour over cooled cake and allow to set up before cutting into bars. Not sure if you know, but for some reason Pinterest is blocking links to your site. Naya - the site is not blocked. You can pin from Plain Chicken. I meant when you attempt to access the site from a pin on pinterest. Someone else reported the same issue on their Facebook page. Seems the problem has been fixed since then though. I can't resist Lemon. It's my absolute favorite! Lemon & Key lime desserts are some of my most favorite. Very much looking forward to trying this recipe! I pretty much only eat the edges. Glad you liked them! 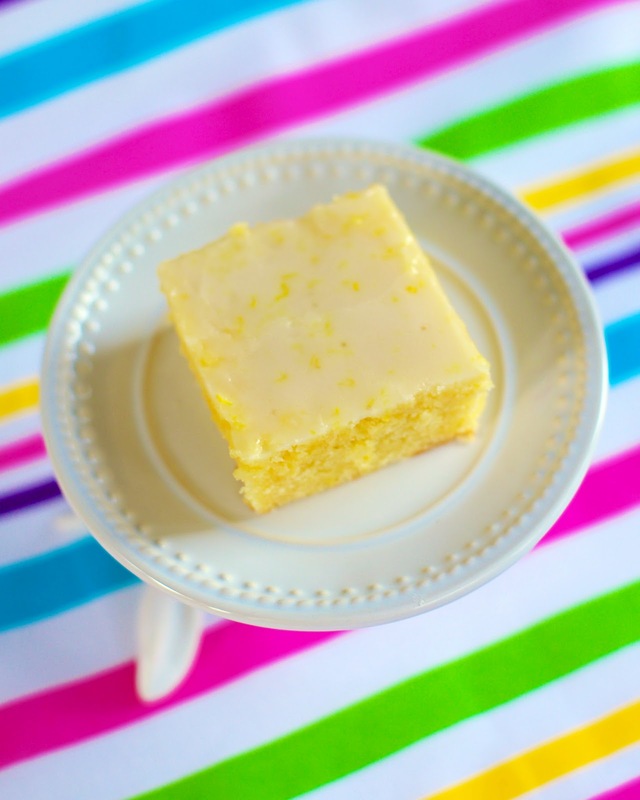 LOVE this recipe and it's bursting with lemon flavor!